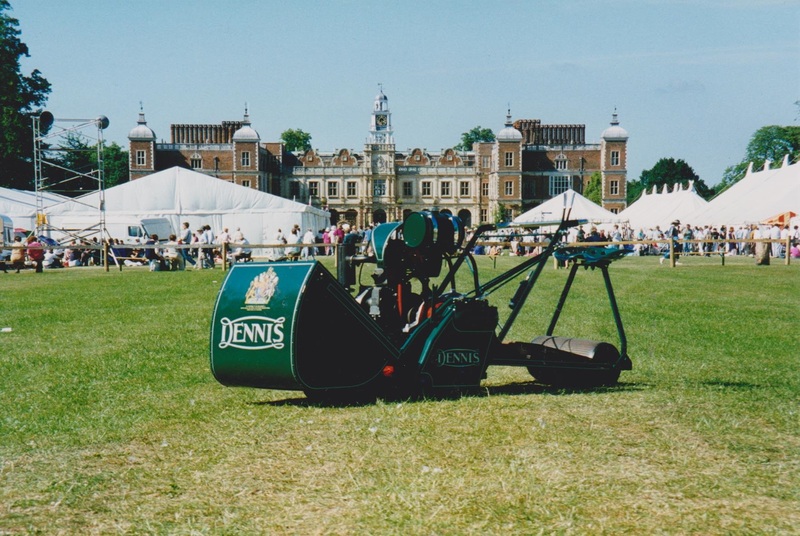 One of the first events that we took our Dennis to was the Festival of Gardening at Hatfield House in June 1995. The Vicar of our village - who gave the wreck of the mower to me three years earlier - was seriously ill in hospital at the time. I sent a copy of the picture to him, thanking him for the pleasure that we had from taking the mower out and seeing the pleasure that it gave to others. I had a letter by return from him in hospital thanking me instead. He was a curate in training at Hatfield and for two years, every day, had walked right across the spot where the picture was taken!